The need for a website was felt for the Nepalese people to find out the Nepal Samvat date for every day use and in the conventional syntax of Month-Pakshya-Tithi e.g., KachhalaaThwo Paaru. On KachhalaaThwo Paaru Nepal Samvat 1135, this website, www.nepalsamvat.com, became the first website in the world to present the dates from Nepal Samvat Calendar in its authentic format. 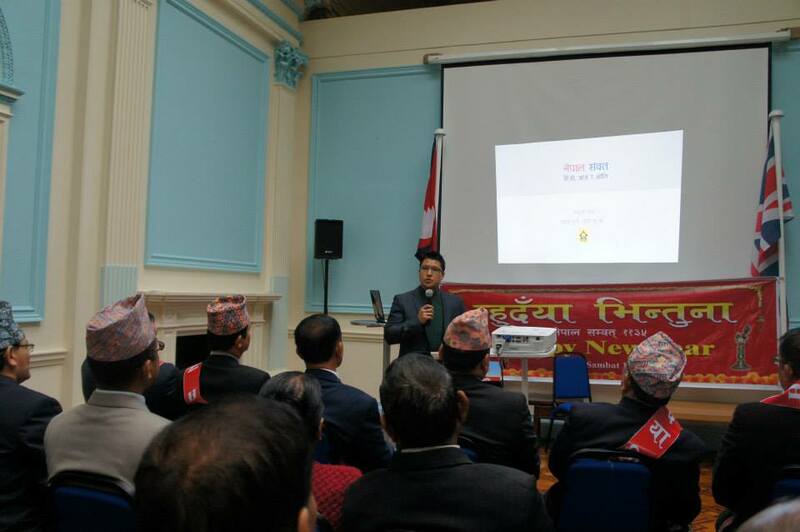 The website developed by Sanyukta Shrestha was released in Nepalese Embassy, London, United Kingdom on 24th October, 2014. During the release, he presented a detailed report of his research on Nepal Samvat which can be found here. Nepal Samvat dates are essential to find out the occurrences of most of the popular festivals from Nepalese culture which follows the Lunar calendar and hence cannot be fixed on the same day every year. 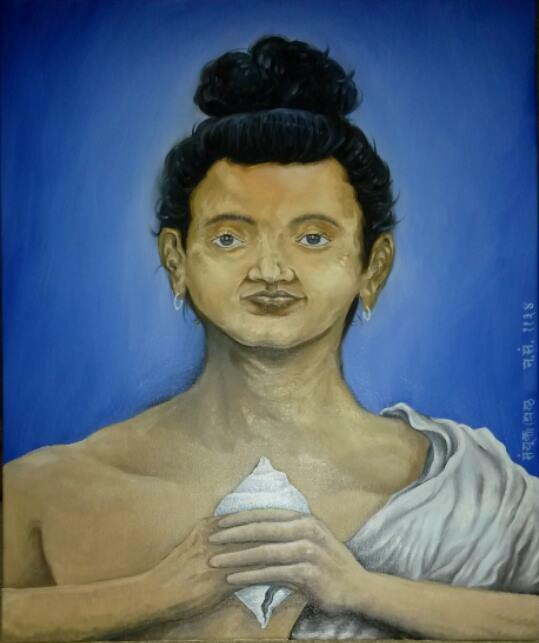 A painting of Shankhadhar Shakhwa by Sanyukta Shrestha, 2014.